Amber C. Swartzell reviews, analyzes and advises clients about new statutes and agency regulations related to healthcare reform initiatives. Prior to joining SVC, now HMA Medicaid Market Solutions (HMA MMS), she was a staff attorney for the Indiana Family and Social Services Administration (FSSA), Indiana’s health and human services agency. In that role she provided all divisions of the agency legal assistance with legislation analysis, administrative rule promulgation, and Medicaid State Plan and 1915(b) and 1915(c) waiver programs. Amber is a licensed attorney with significant experience in the public sector and has focused on an array of healthcare issues. 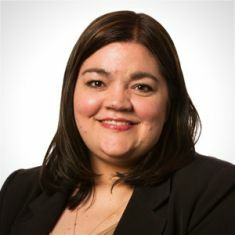 She gained significant policy experience when she served as a policy development lead and manager of state plans and waivers in the FSSA Office of Medicaid Policy and Planning. Prior to law school, Ms. Swartzell worked for several homecare and durable medical equipment companies. She later worked for the Office of the Indiana Attorney General in both the Medicaid Fraud Control Unit and the Licensing Enforcement Unit, where she researched qui tam cases and represented the state of Indiana in administrative hearings before the Indiana Medical Licensing Board and Health Facility Administrators Board. She earned her bachelor’s degree with highest honors from Purdue University and her JD from the Indiana University Robert H. McKinney School of Law.